The magic behind Size: You. We prefer our little red measuring tape, but any flexible measuring tape will do. This will help ensure you get an accurate measurement. Tense muscles might cause some areas to measure smaller than they are when you’re at ease. Measure all around the base of your neck, under your Adam's apple. Place 2 fingers between the neck and the tape to ensure you have enough room to comfortably move and breathe. This measurement can be tricky. Measure from where the edge of one shoulder plateau to the other, arched over the back of the neck. Measure from the center of the nape of the your neck to the edge of your shoulder. Measure from your shoulder to just before the wrist bone or where you would like your cuff to sit. Always bend the elbow when measuring. For short sleeve shirts choose where you want the sleeve to end. Measure just under your armpits across the base of your chest, holding tape level. Go around your back with the tape crossing over your shoulder blades, and meeting back at the starting point. At the fullest part of the stomach (just above the belly button) measure all around. The tape should be snug, but not tight, and there should be room to move and breathe. At the fullest part of the buttocks, measure all around. Again, the tape should be snug but not tight. Measure from your shoulder beneath your ear, all the way down, over the chest, to the bottom of the fly of your pants. If you plan to wear it untucked, remove approximately ½ and inch to 1 inch from your measurement or if you would like it extra-long add the same. Measure over the wrist bone, around the wrist. If you wear a wristwatch, add 2 inches to the measurement to accommodate for it. 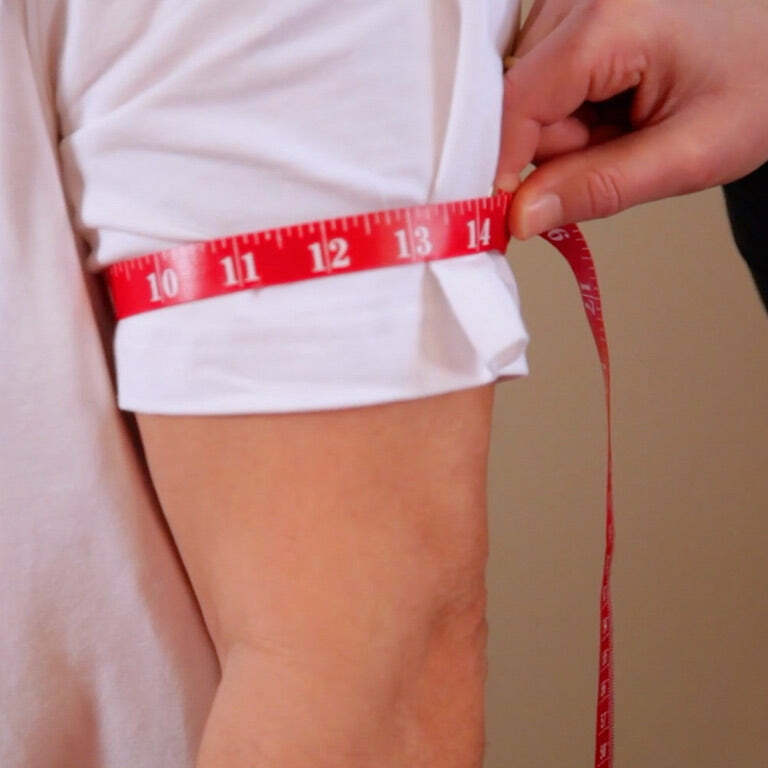 Measure all around at the thickest part of your bicep, Snug but not tight. Measure below the elbow and around the fullest part of the forearm. Snug, but not tight.